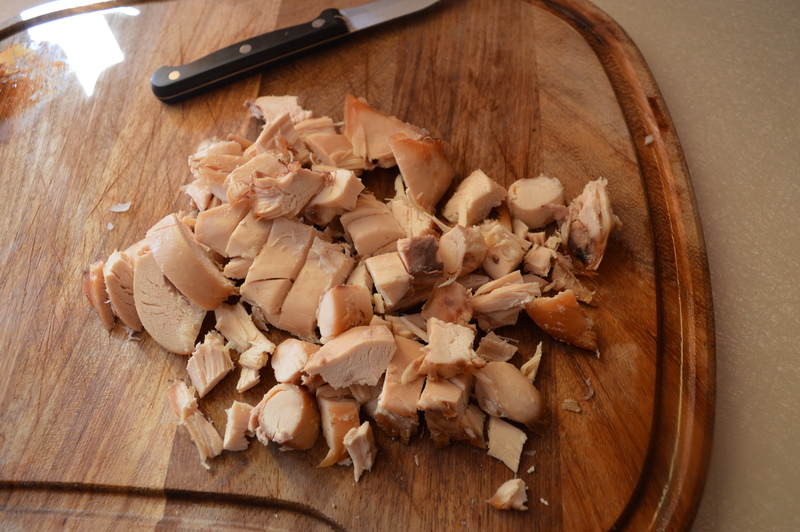 Buying a whole chicken and using it to make different dishes is so much more economical than buying, say, individual packs of chicken breasts. 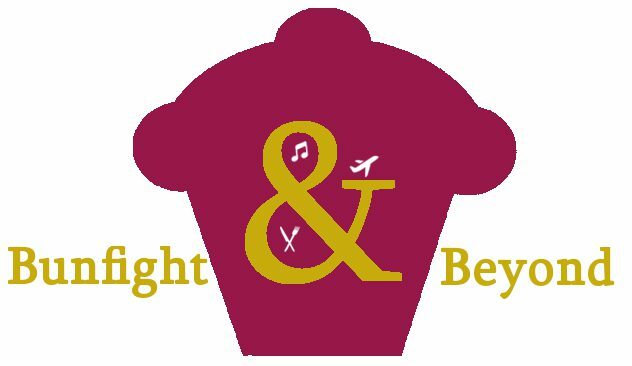 Whether you joint your chicken and use it that way, or cook if first and use the leftovers to make different things you cannot deny that is works out cheaper (and sometimes the brown meat just works better in some things). 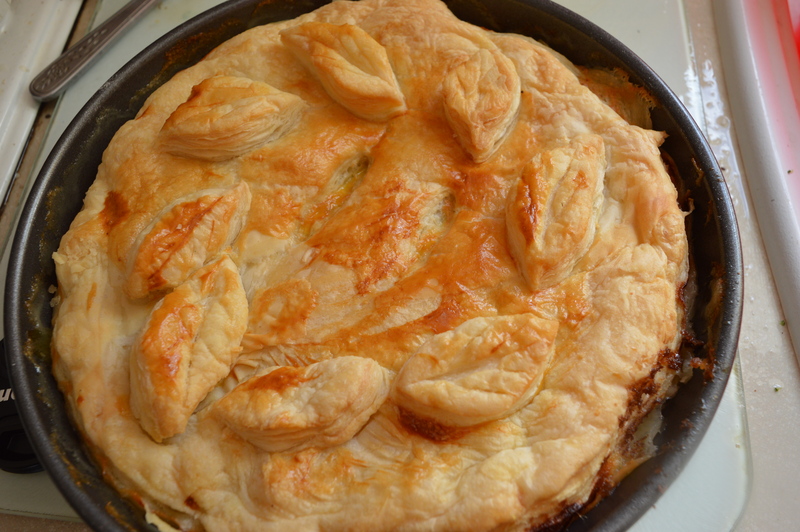 This pie recipe can be knocked up in around 45 minutes with minimal effort and is incredibly tasty. I made this for my boyfriend and every time my back was turned he couldn’t resist having a bit more pie. 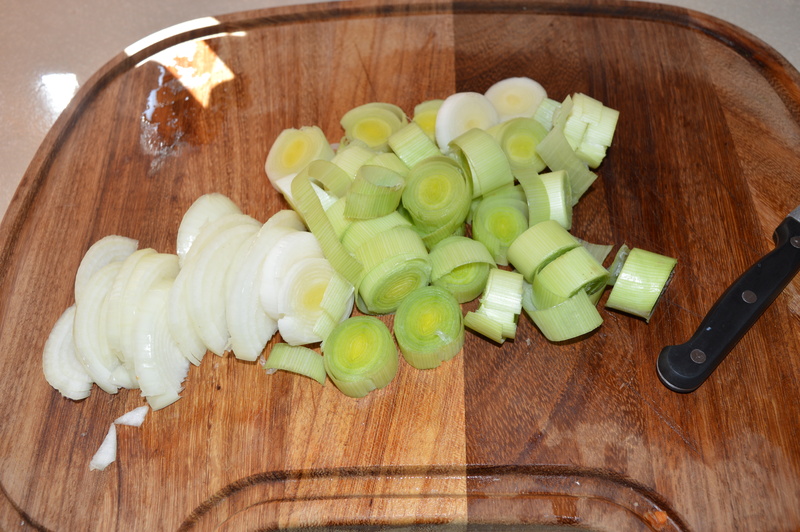 Peel and slice your leek and onions and fry in your butter until soft. 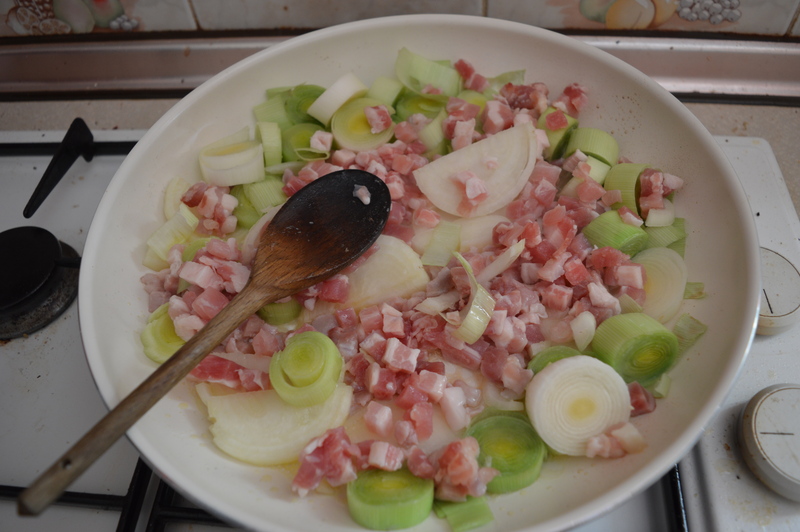 Add your bacon and fry for a couple of minutes and then add your cooked chicken for another couple of minutes. 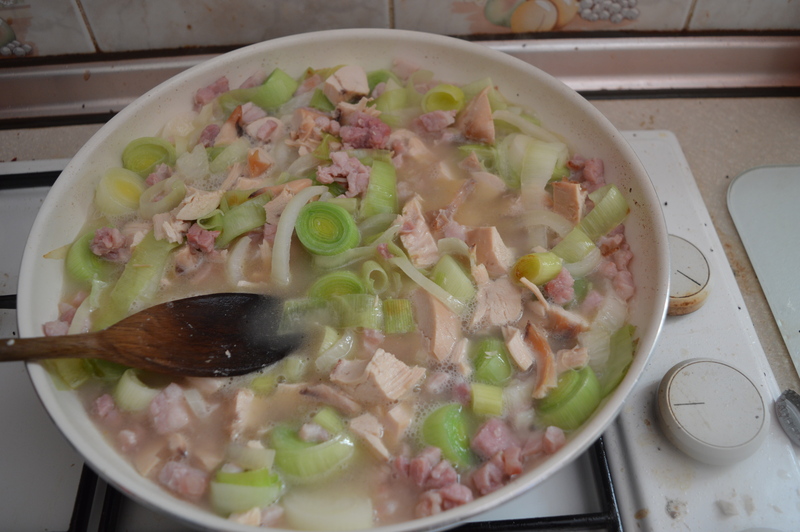 Add your chicken stock and allow to reduce for about 5 minutes. Add your cornflour and mix well. The sauce should have chickened by now. 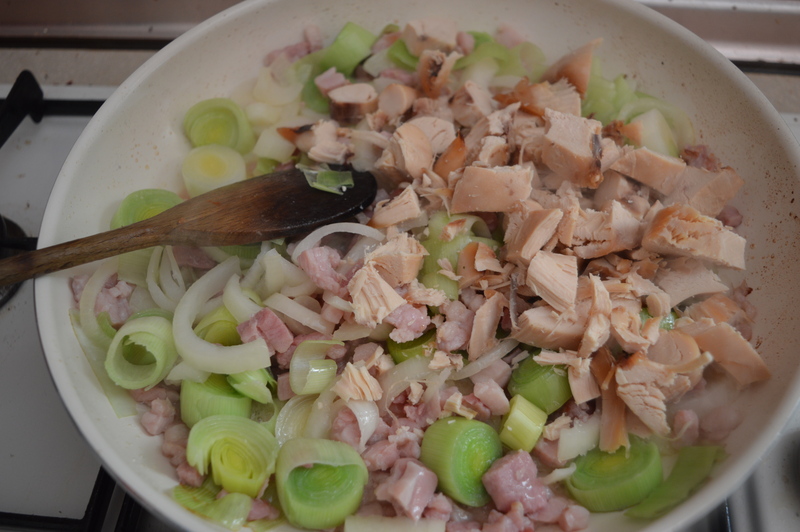 Stir in your mascarpone/creme fraiche once your chicken sauce mixture has thickened and add to your pie dish. 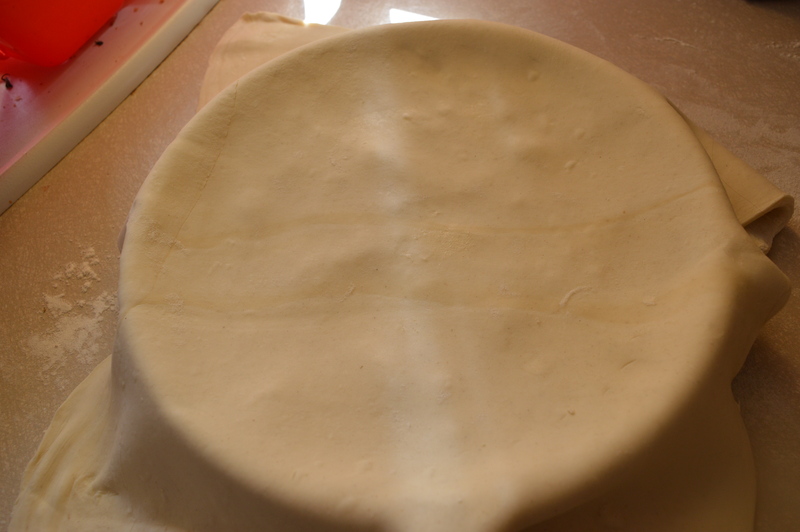 Roll out your pastry and use this to top the pie. 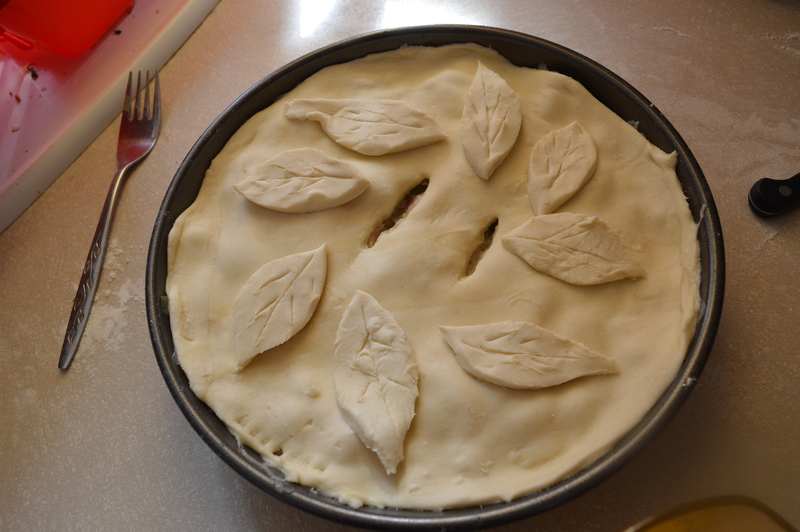 Remember to add steam holes to the pie and decorate the pie as you wish. Beat your egg and use this to glaze your pie. 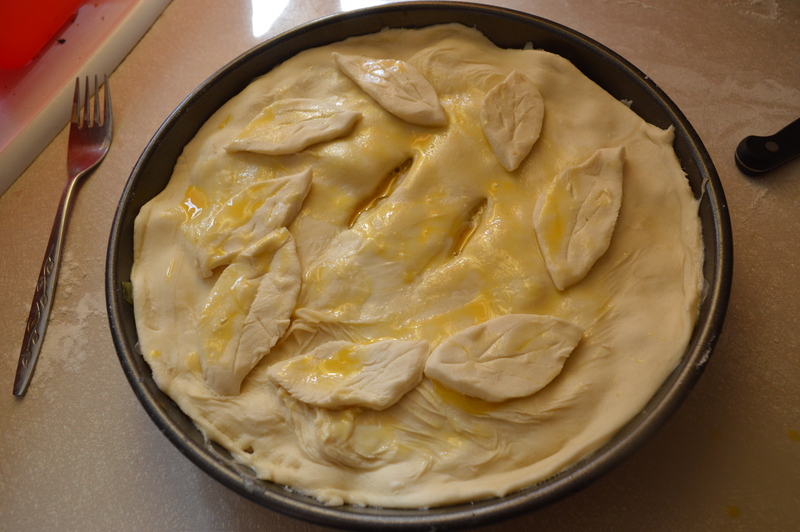 Bake in a 180°C oven for about 20-25 minutes until the pastry is golden brown. 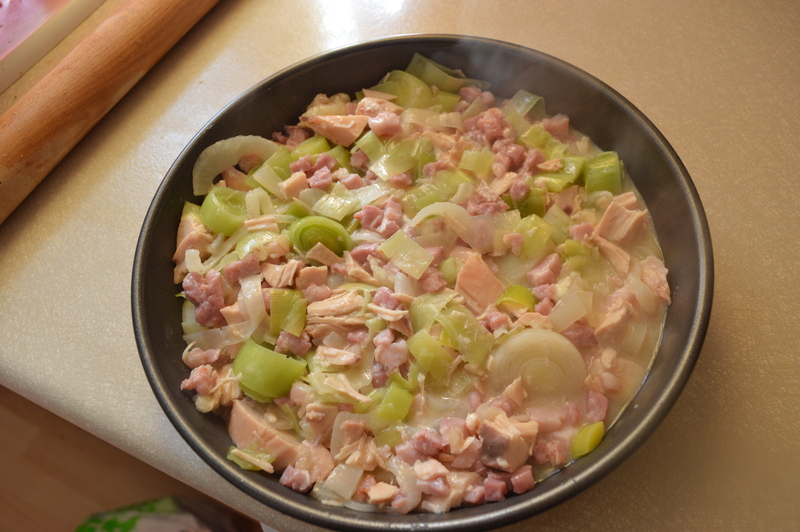 Serve with the vegetables of your choice – we had this with green beans and brocoli. If you have any leftovers these can be taken to work (or your partner’s work) to be eaten while watched by envious pie admirers. Very smart! 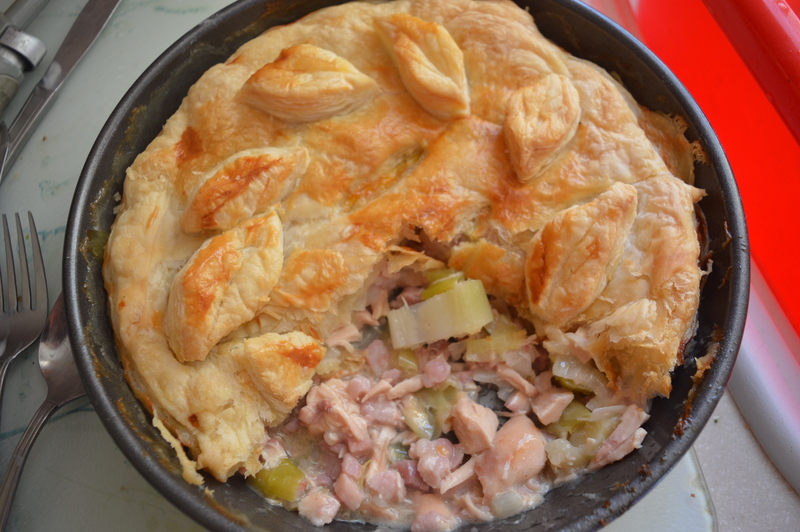 Much smarter than making chicken mayo salad… Love your pastry leaves!